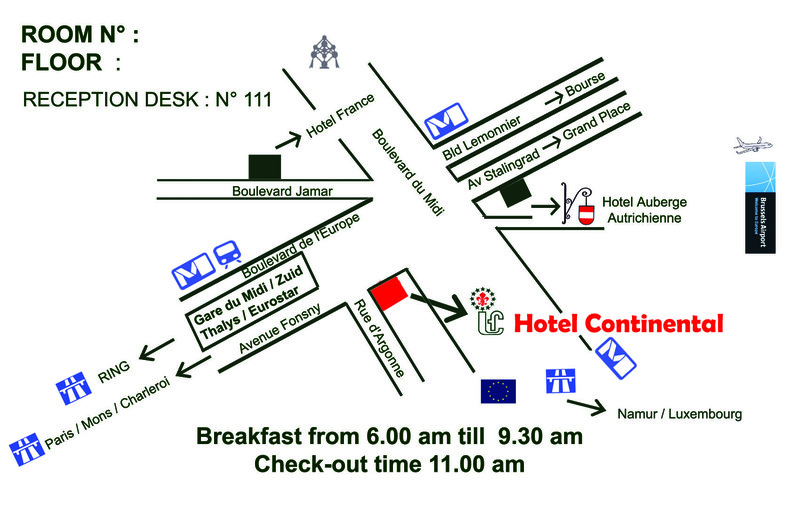 Brussels Hotel Continental is located in the city centre of Brussels, across from the city’s largest train station (Brussels Midi Station) with easy access to the Eurostar, Thalys and ICE trains. 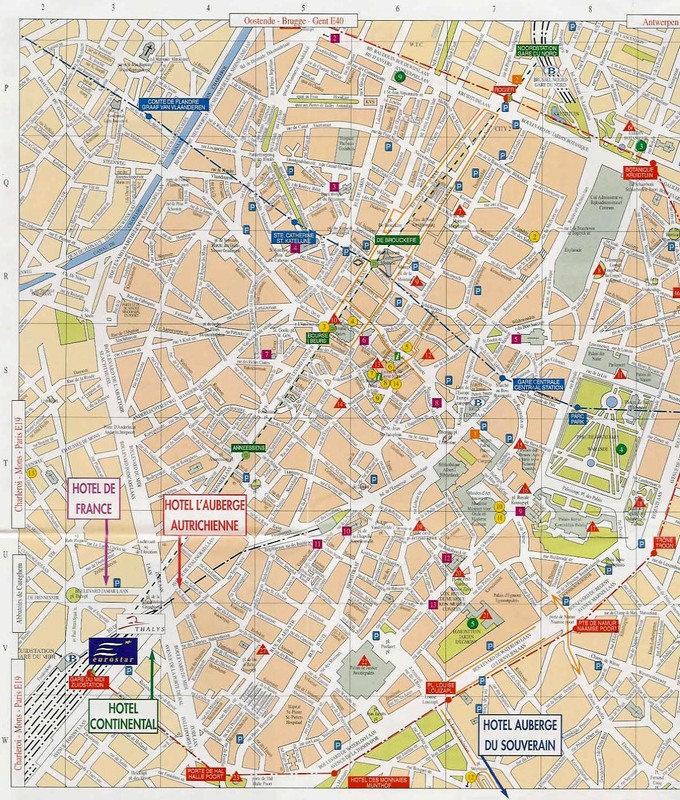 Place du Jeu de Balle’s flea market and Midi Market are at walking distance from the hotel. 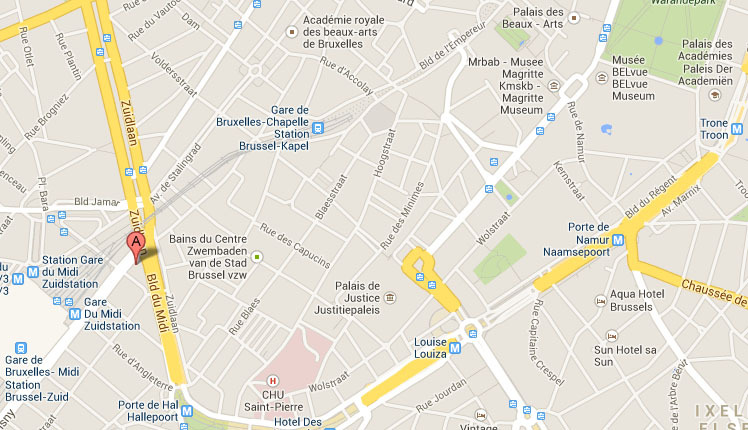 The hotel lies within a 20-minute train ride from Brussels Airport. It is very close to one of the liveliest areas in Brussels, off the fashionable Avenue Louise and Toison d’Or area, with their trendiest boutiques and restaurants. The historic centre at Grand-Place, the Sablon Square with its famous antique stores, and the EU Disctrict are just a short taxi or metro ride away.